Your potential customers are searching for products and services online — and more than 60% of the time on their mobile devices. Internet searches driven by SEO, beat out social media by more than 300% and remain the leading driver of customer traffic to business websites. Before you can take advantage of the fact that SEO increases sales — you need to first determine if potential customers find you online? Without the right SEO (search engine optimization) strategy and ongoing management, your website remains invisible to most potential customers. However, effective SEO can dramatically increase your website’s visibility on the three major search engines — Google, Yahoo! and Bing. Unfortunately, SEO complexity has increased tremendously over the past decade. Google now uses over 235 different variables to rank your website — so strong keywords and proper meta tags are no longer enough. Does your website work properly on all mobile phones, tablets and other devices? Did you know that Google ranks your website lower in searches if you are not mobile ready? Do you remember the last time you looked on page two of a search? You probably never have. Research has shown that 75% of users never scroll past the first page. 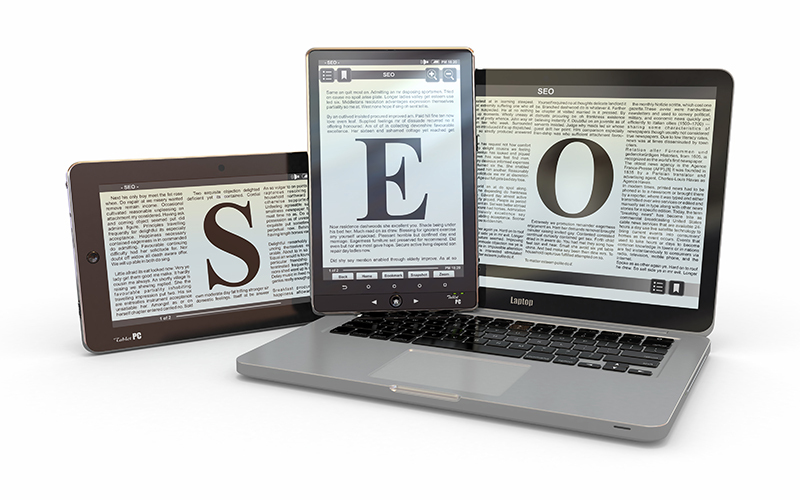 Optimizing your website using SEO can help your business be featured on the first page of search engines. If your website doesn’t appear on the first page — then very few individuals will ever find it. As mobile search has taken over as the most popular way to find things, simply being on page 1 is no longer good enough. Google’s new ad layout, combined with map listings and smaller mobile devices, pushes organic search rankings even farther down the page — making a top five ranking even more valuable. How do you plan on increasing sales if customers can’t find you? By designing your website to comply with current SEO standards, you will see an increase in your website’s traffic. Best of all, more traffic means less prospecting — leaving you with more time to run your business. Research has also shown that SEO provides the greatest return on investment, trumping email marketing, pay-per-click and social media marketing. As the owner of a small business, your time is better spent running your company — not staying one step ahead of Google. Instead, let a professional SEO company like Spider Marketing Group handle the constantly changing requirements of effective SEO. To learn more about why you need our Grand Rapids SEO services, please contact us here or call us directly at 616.406.9695.